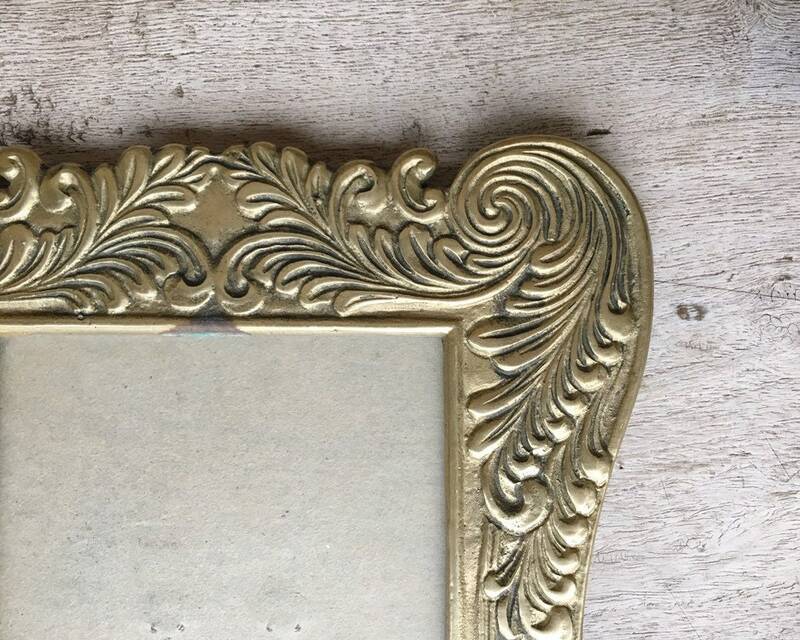 Here we have a vintage frame made of etched brass. Is not terribly large nor super small. 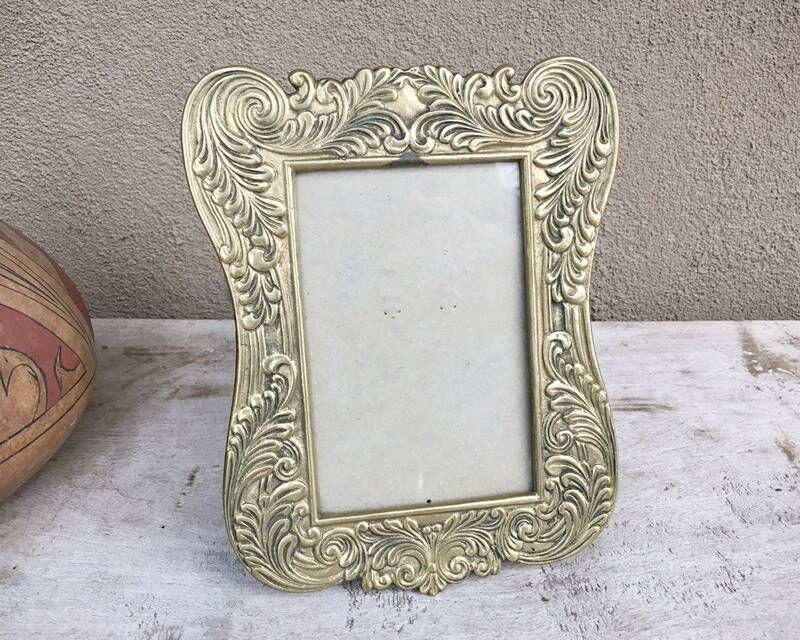 Great size for highlighting a special photo. 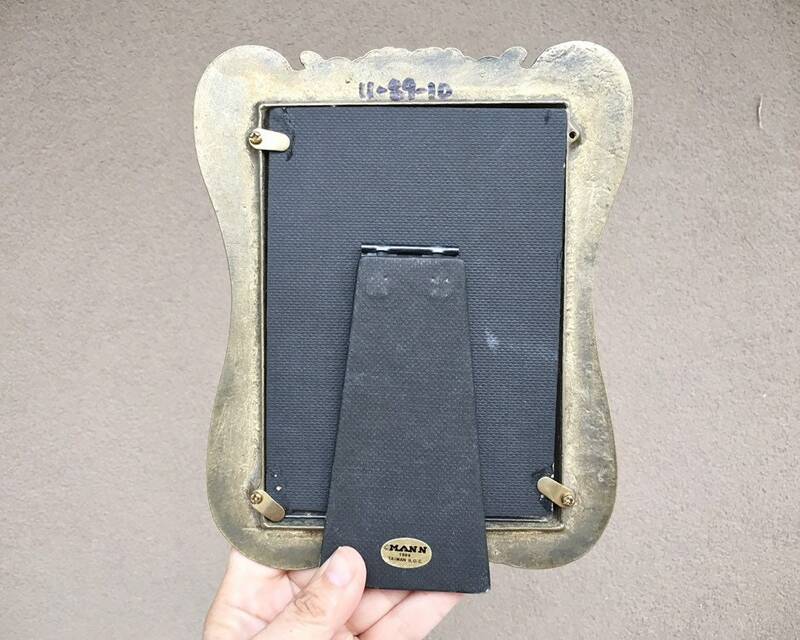 Has a stand on back, which is portrait orientation only. The window is also portrait. 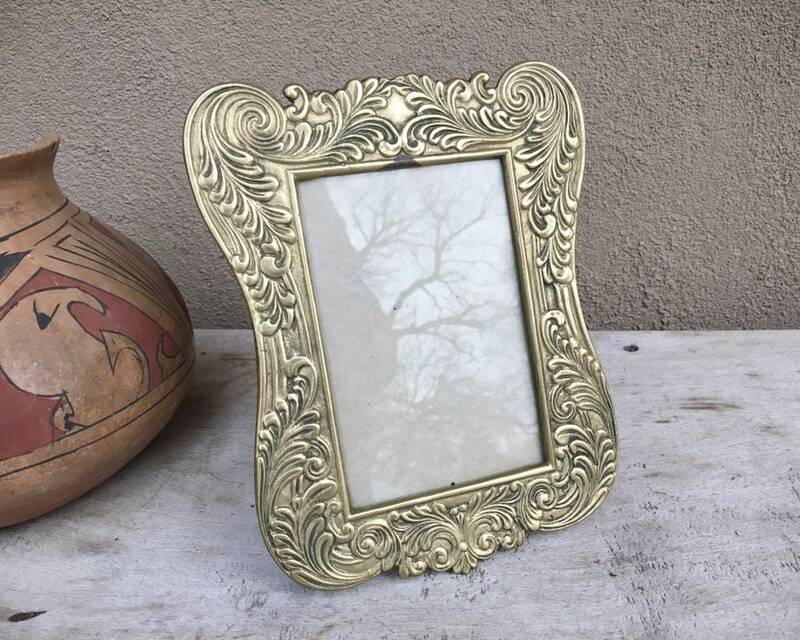 The frame itself has a leafy feather motif, Art Nouveau in style, although this is a 1988 reproduction, which we know from the gold foil sticker that dates it to that year. 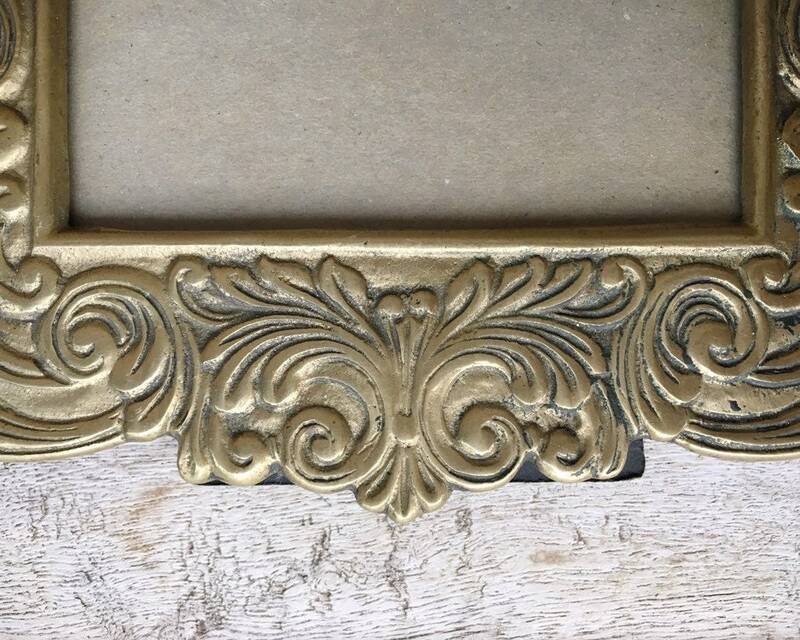 Outer edge measures 6-7/8" wide by 8-1/2" tall, and the window is 3-5/8" by 5-1/2", with the picture size itself being about 1" large on both dimensions. 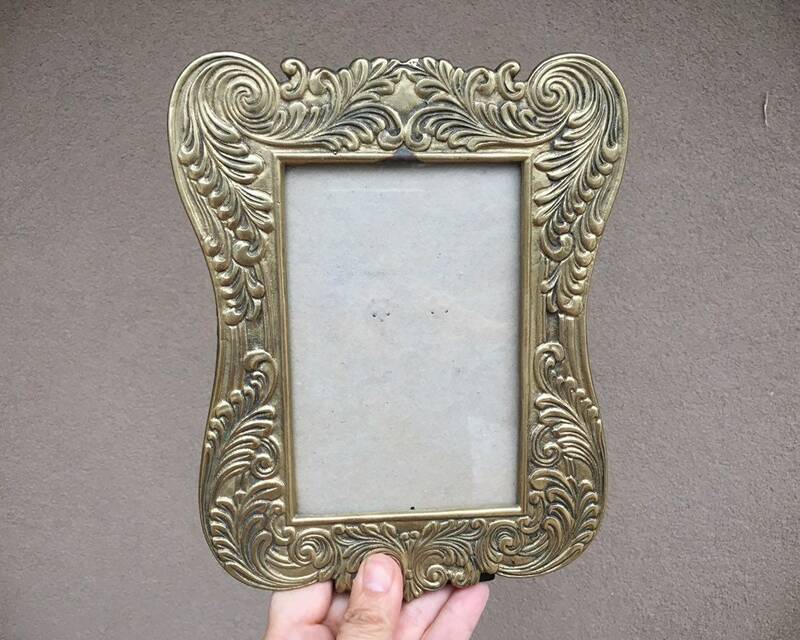 Again, works only for a vertical view of the frame. 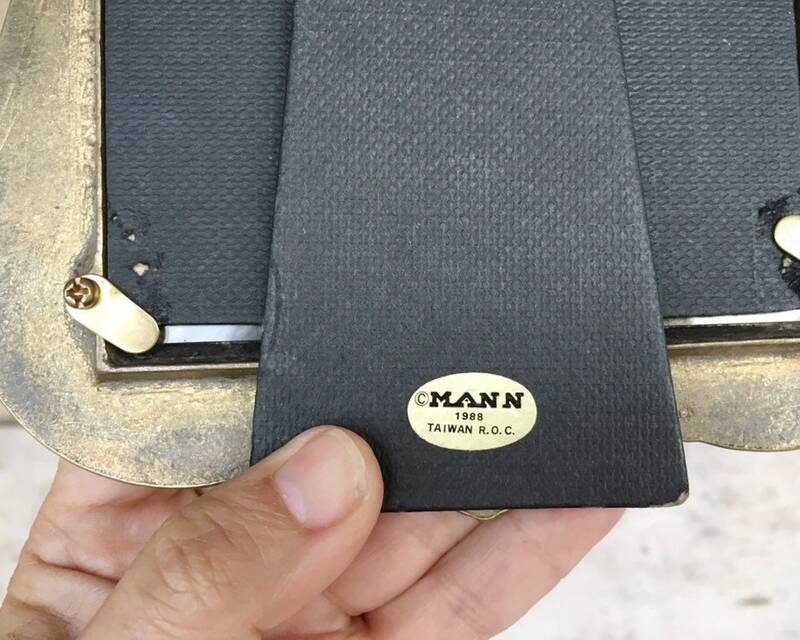 Has original gold foil MANN sticker, 1988, Tawain R.O.C. 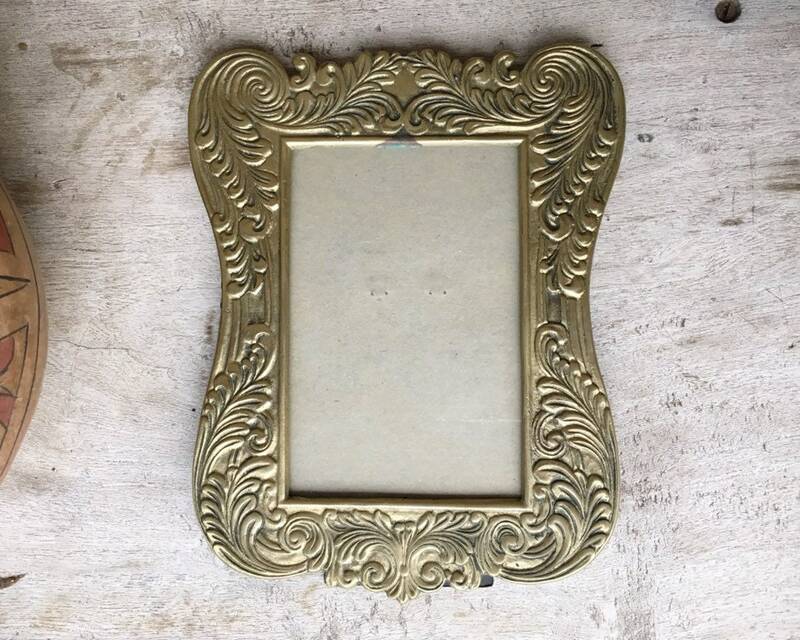 Lovely frame for that special photo, to give as a gift, or for a vintage wedding.